Though I started looking for clocks based on the sexagesimal system without thinking seriously, I was unable to find such a thing. When I went to a symposium to look for an aluminum processor for another purpose, I had the opportunity to listen to a discussion between Mr. Takata, a president of TAKATA Lemnos, and a designer. After an unexpected turn of events, I ended up going on a business trip to Takaoka for the first time, where the Lemnos headquarters is located. 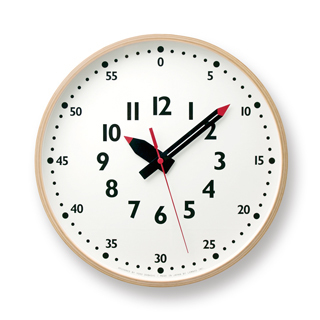 Guess what I saw in a waiting room full of various design clocks? The second thrilling clock development story. small talk turned out to be a big event! 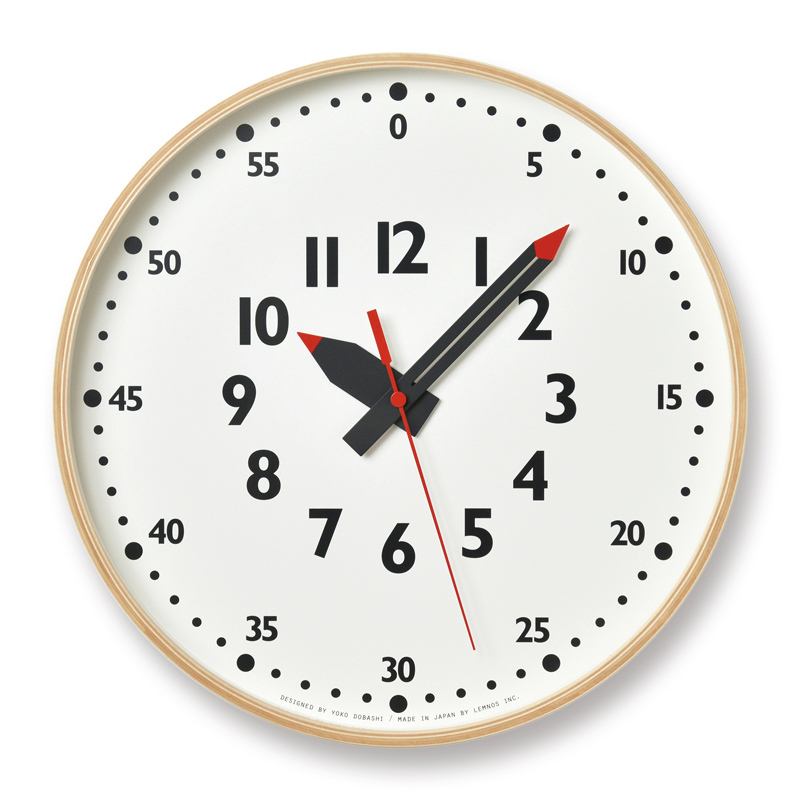 Regardless of how much digital has developed, an analog clock is still easier for children to understand as it visually shows “how much time they have left” by “a specified time” and helps them to intuitively understand the time with an image, like a graphic. 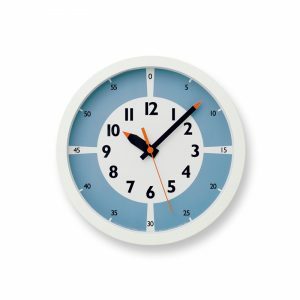 I looked in interior shops, variety stores, stationery stores, and department stores, and I searched on the Internet using my own keywords: “child kids analog clock sexagesimal duodecimal,” etc. I also checked overseas websites and educational toys, but was still unable to find what I was looking for. 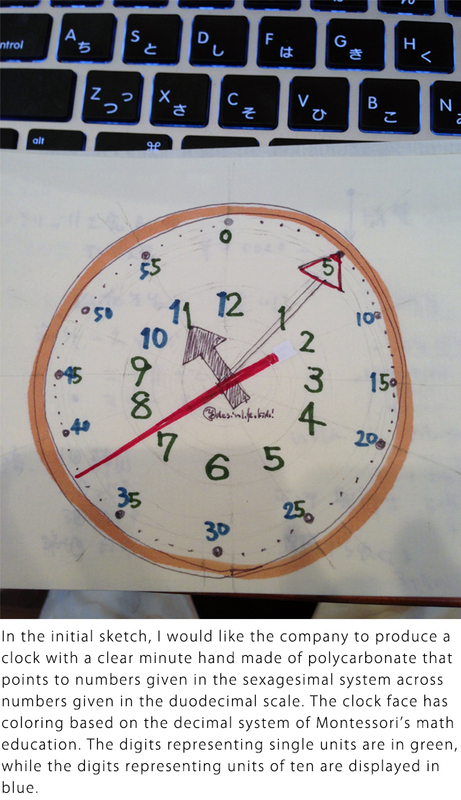 “If I can’t find my ideal clock, I will try to make an original clock for next year’s workshop using numeral wall stickers or corks with numbers printed on them, and then put these on the outer edge of an analog clock…” I began thinking about how I could make the original clock. 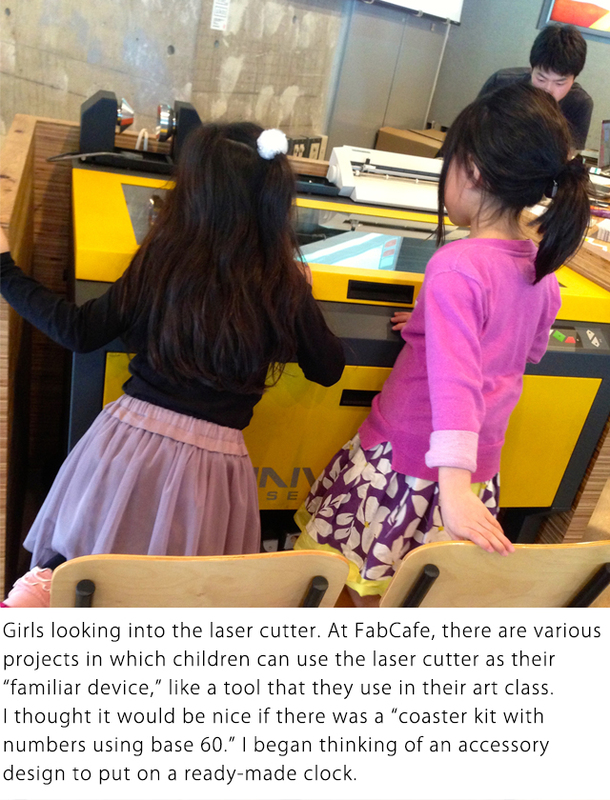 And about how it might also be good to make an easy puzzle in the workshop using a laser cutter at FabCafe in Shibuya. At that time, I never considered that I would be designing a clock myself in the near future. At around the same time, I was looking for a manufacturer who produced aluminum parts for another purpose. “It’s best not to show something under development in front of people. 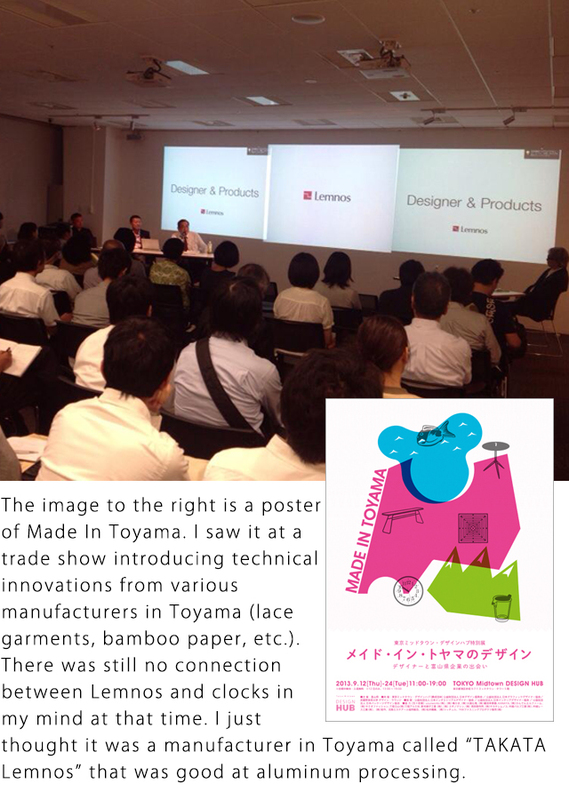 Let me see it in Takaoka,” said Mr. Takata, a president of TAKATA Lemnos. My mind went blank. I am a mother. I considered it difficult to be able to go out at night, so a “business trip” was something quite unbelievable for me. But I was impressed by his sincere attitude to manufacturing and also the trust of the designer who took the rostrum alongside him, and I admired the relationship. It reminded me of the relationship between Mr. Kurosaki from IDEE Co., Ltd and designers at one time. Anyway, visit the town. There is nothing to lose. 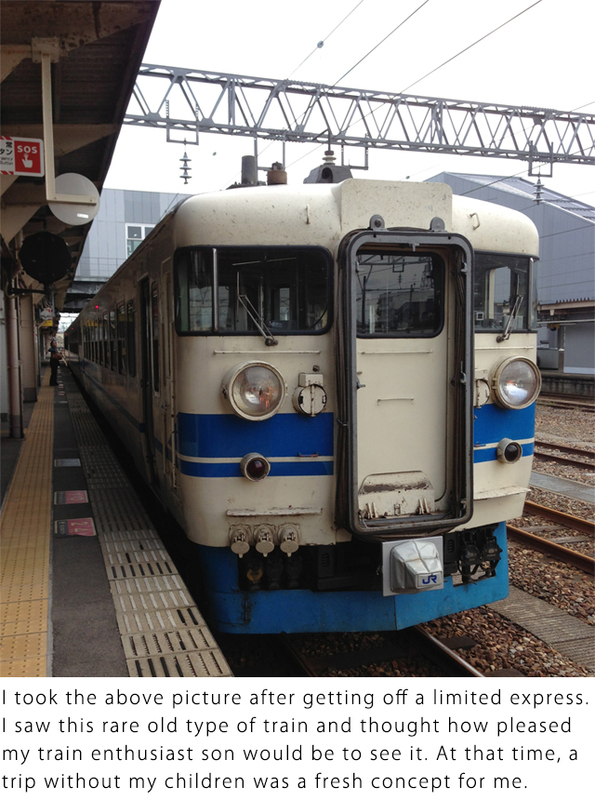 This was before the start of the Hokuriku Shinkansen service. 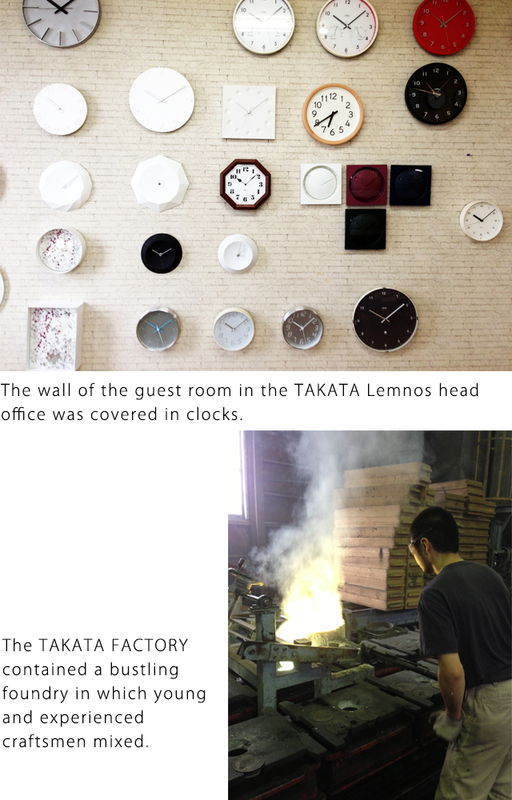 On the 4-hour train journey to Toyama, I remembered that TAKATA Lemnos was a manufacturer selling clocks designed by Riki Watanabe. I made a rough sketch of “my ideal clock that I am looking for” in my mind in a sketchbook. The first sketch was a weird clock that had the numbers protruding from the clock frame. The person who came to Takaoka station to pick me up was Mr. Takata himself, the president of TAKATA Lemnos. In the car, I was excited to talk about many things, such as my request to make a prototype for the competition that I was entering at that time, the difficulty I was having in getting an ideal clock for my workshop, and the fact that it was my first time visiting a town that was far away from my family and where I did not know anybody. The Lemnos office was full of clocks. 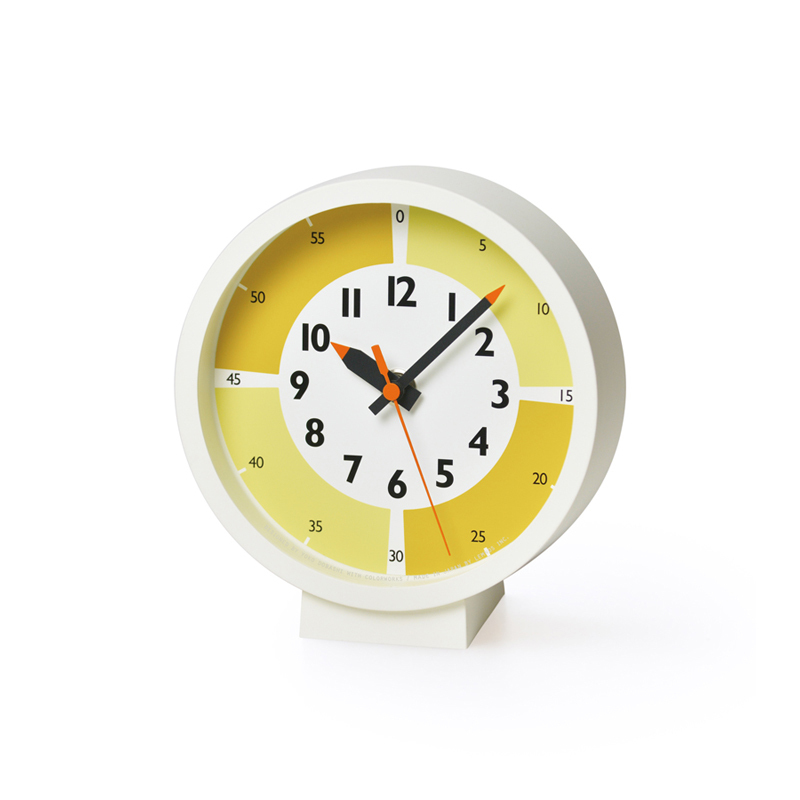 Unfortunately, even there, I was unable to find my ideal clock with numbers using base 60. 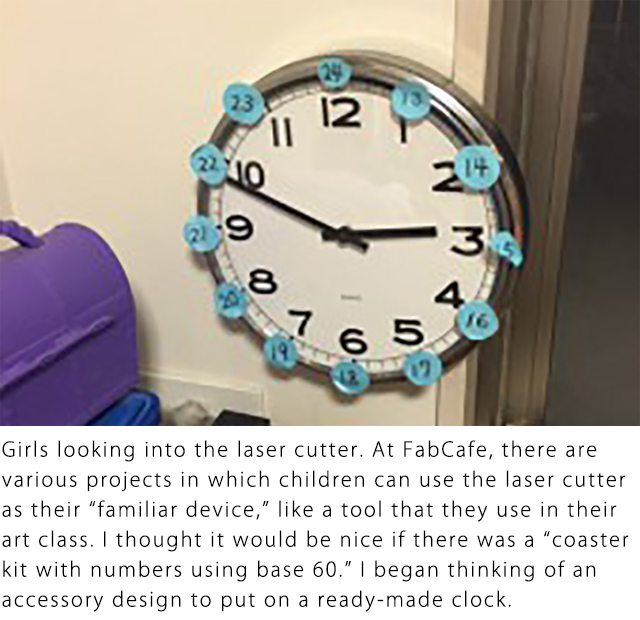 When I showed him a model clock and sketch for a competition, he said, “For now, we have nothing to help you regarding the parts that you would like to make, Ms. Dobashi. But allow me to introduce a person who may be able to help you, if you don’t mind.” I accepted his kind offer. Believe it or not, he arranged a meeting with another manufacturer for me, used a whiteboard to explain the know-how for designing a clock while we waited, and then introduced the TAKATA FACTORY to me because he considered it was best for the future if I was familiar with the aluminum processing methods. After being treated to dinner, with nothing to do in the room, I was disappointed by the fact that I wouldn’t accomplish my initial purpose and that Lemnos had no clocks with numbers using base 60. Eventually, feeling a little resentment that “they produce so many clocks but why not the one I’m looking for,” I continued to sketch a clock based on the know-how that I had acquired during the daytime. President Takata also took me to the station for my return journey. It was then that I had a light-bulb moment. 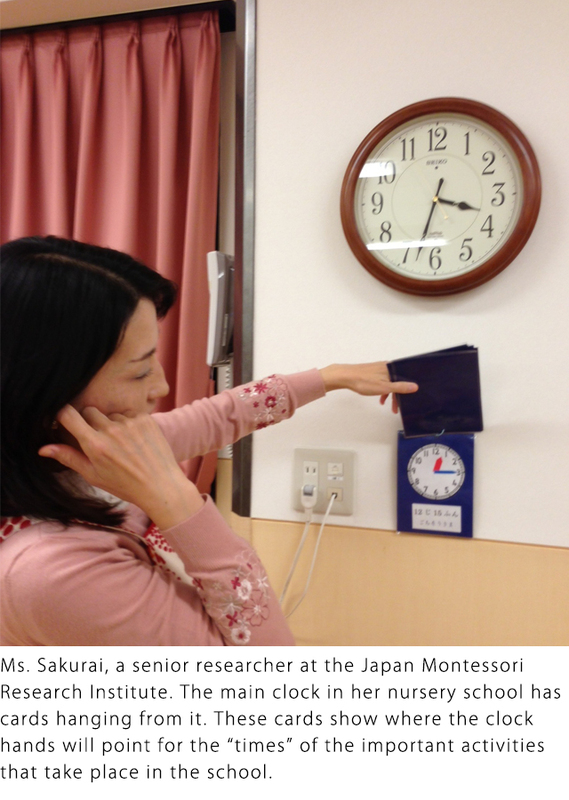 I decided to visit Ms. Sakurai, my daughter’s ex-teacher, and inquire about the process of teaching two-year-old children the concept of time and hours. I received such a generous proposal from president Takata and parted from him feeling very satisfied. 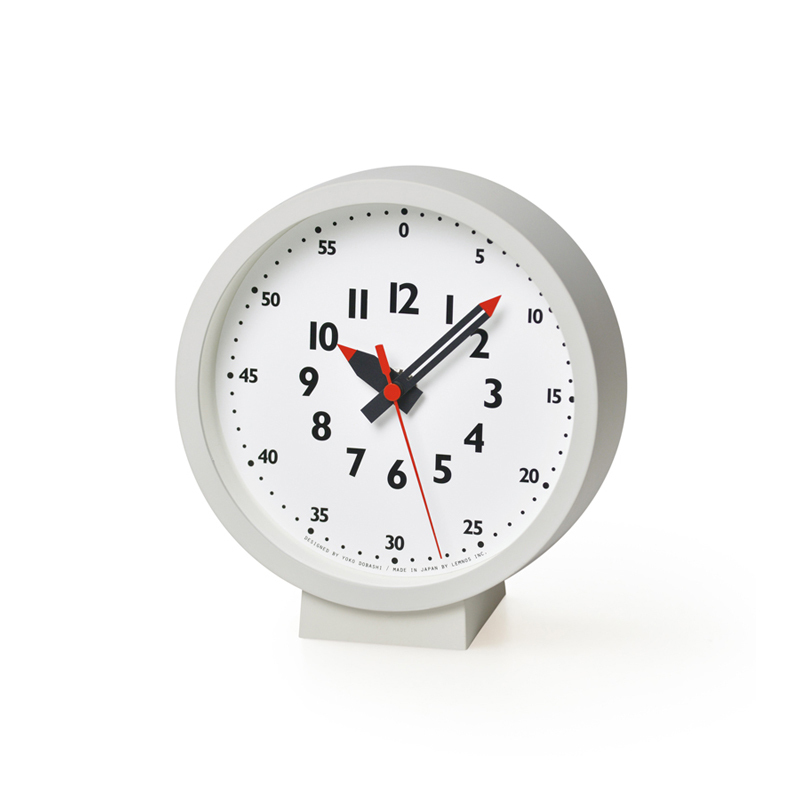 But I struggled to comprehend that I was being given the chance to design a clock for Lemnos, the famous clock company. Yoko Dobashi had belonged to Idee co. Ltd. For five years (1997-2002). 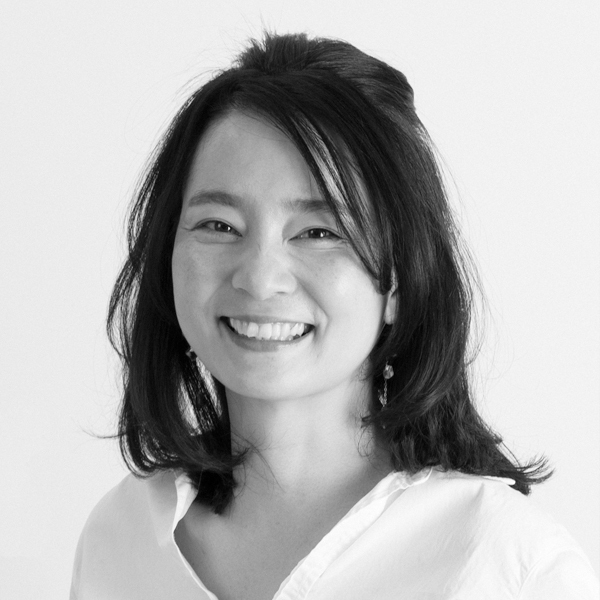 She was involved in the development of standard furniture, in serving as a Chairman of the Executive Committee of “Tokyo Designers Block 2001” and in launching the “SPUTNIK” brand which was introduced in London, Milan, and New York. She designed Idee’s current standard “bian chair”, paper lantern type LED light which keeps baby from strong light in the nursing named “milk time light”, a light that is made on one’s own simply by “bending” ”inserting” “folding” it, named “let’s light” and an analog clock that motivates children who cannot read a clock desire to read a clock named “fun pun clock”. Since 2012 she organized an interior workshop “Design life with kids!” Based on Montessori education, she kept it in her mind to create an interior that encourages the use of hands, collaborated with various companies and worked to develop workshop program. Also, as an interior writer, she writes on the web magazine “All about”, “Let’s enjoy Tokyo”. Now as a mother of two children, her themes is exploring living space where children are, and another is to encourage a life of making things with their own hands.